SICCO Desiccators and drying cabinets are used in many different industrial sectors. Available in different sizes and with maximum of flexibility and functionality, they cover the full spectrum of protected drying and storage. With robust construction, appealing design and sophisticated functionality SICCO desiccators set the standard. SICCO, a Bohlender brand, is the result of 30 years experience delivering safe storage systems for sensitive items and materials. All design, development and manufacturing are done in-house by Bohlender professionals. 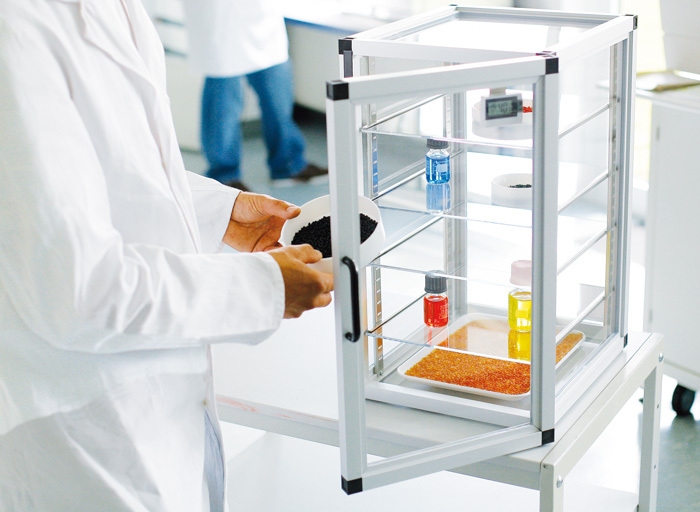 SICCO Desiccators are designed for storing or drying humidity sensitive products using Silicagel. The tight-fitting door protects the contents from contamination of the atmosphere creating dust and humidity-free storage. 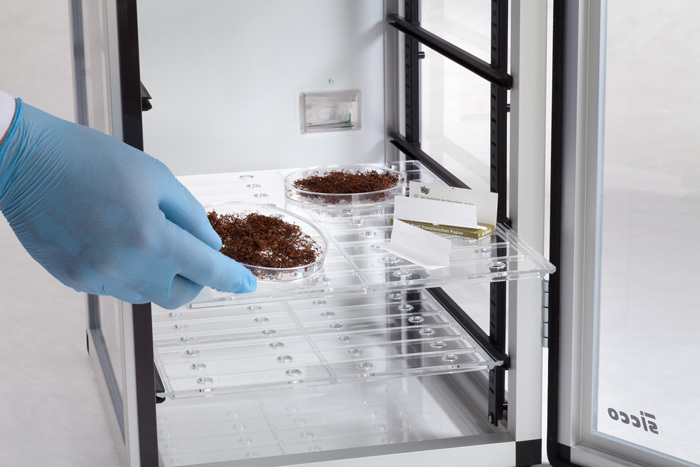 The controlled environment inside the desiccators is ideal for storing reference materials, retained samples, metallographic specimens and DNA samples. SICCO Desiccators for gas-filling provide ideal conditions for safe and secure storage of poisonous chemicals. Rare or inert gases like nitrogen can be introduced as soon as the door is closed tightly. Compared to the ambient air, the inert gas does not react with the stored substances. 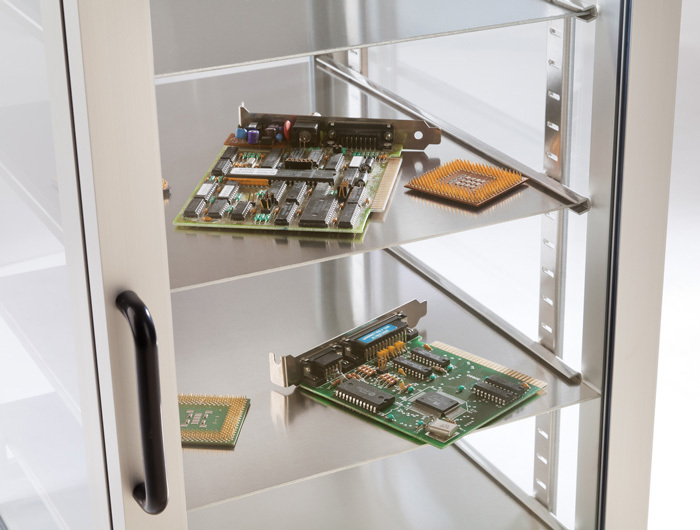 SICCO Antistatic-Desiccators can protect electronic components against humidity and airborne particulates in an antistatic atmosphere. Electrostatic charges are discharged by a grounding cable and a charge neutral atmosphere is produced inside the desiccator. Antistatic-Desiccators are mainly used for temporary storage of components for electronic products. Vacuum-Desiccators for quick drying of substances and O2/CO2-free storage are suitable for storing sensitive products in a vacuum. The vacuum inside the desiccator ensures rapid drying of the stored products. 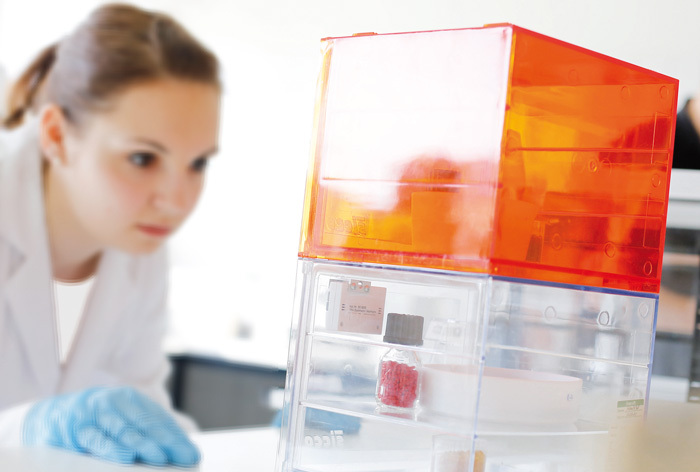 These systems allow storage in an oxygen and carbon dioxide free environment and are, for example, suitable for storage of semiconductor samples. The SICCO Glove Boxes allow safe working with contaminated and sensitive compounds in a controlled environment and the natural rubber gloves provide with the necessary mobility for safe handling. The connectors for gas-filling allow flushing of the workspace as well as the transfer chamber with inert gas. 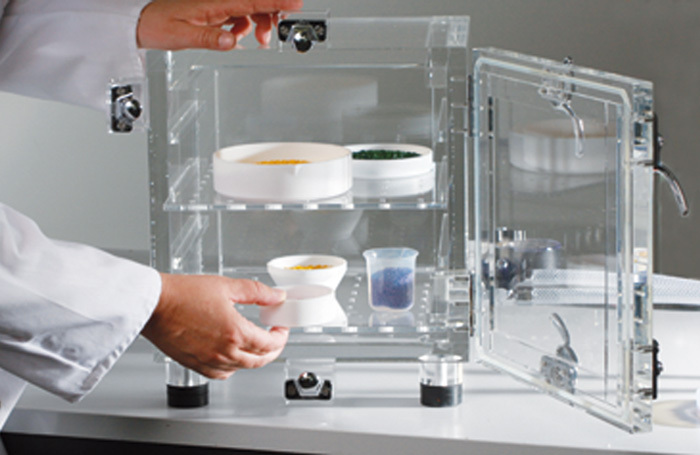 By means of the transfer chamber, the glove boxes can be easily loaded. Temperature controlled desiccators with air circulation. 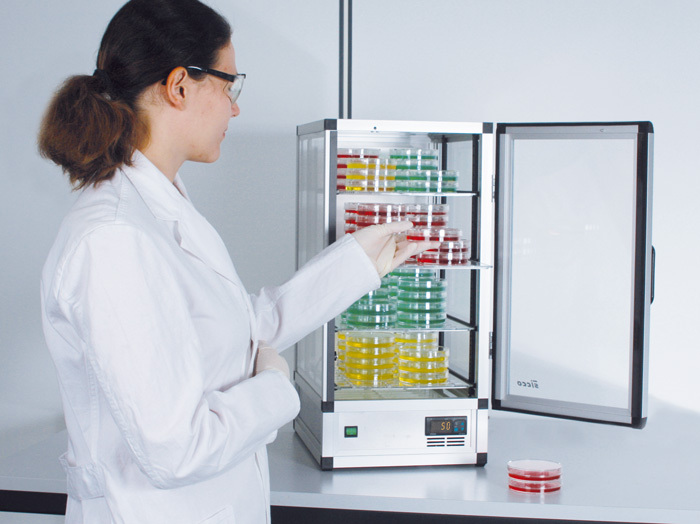 Ideal for warming of samples and substances or for temporary storage at constant temperature.